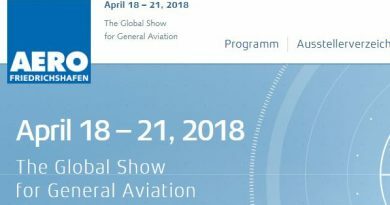 Your intrepid ULPower.news reporter brings exciting news of a man renowned for flying across half of Southern Africa (and beyond) to help pilots in distress! It is the ULPower Superman! This Superman lives in Pretoria, South Africa and is the director of Bundu Aviation, Philip Cronje! Phil has always been passionate about aviation. 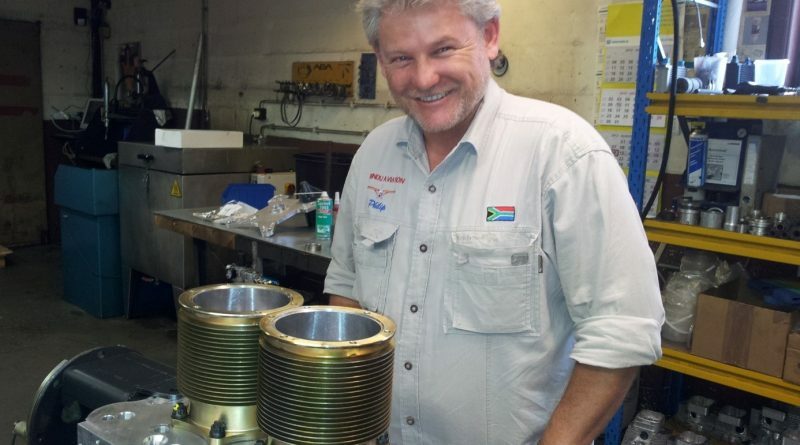 He started off as a kit sales & support centre for Zenith (Zenair) Aircraft, and has since grown Bundu Aviation into a full workshop offering aircraft repair & services, ATF inspections, electrical & avionics installations. Phil was involved at Zenith aircraft when they did the FWF installation for the first UL350iS into a Zenith CH650 (a low wing aircraft) and that had him hooked on the ULPower range of aero engines. He hitched a ride with Nick Heintz (son of aircraft designer Chris Heintz) to fly from Oshkosh back to the Zenith factory in Mexico, Missouri in the plane. That cross country flight was not only smooth and enjoyable, it removed any little doubts that may have lingered about the engine performance. “It was simply amazing!” he states. 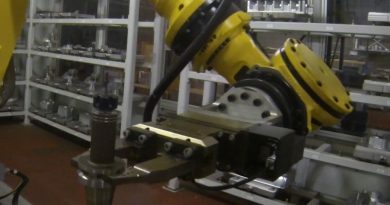 Immediately after, Phil arranged to visit the ULPower factory in Belgium, where he spent two weeks with the ULPower team going over the engines and assisting with the build of engines on the production line. Seeing the inner workings of the engine the first time instilled a deep confidence about engine integrity and strength, parts production and design. 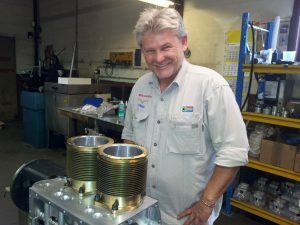 People in the Southern hemisphere also know him as a very competent engine mechanic, specialized in ULPower, Rotax and Jabiru engines. He is so sought after, he recently returned from a two-week trip covering Kenya, Ghana, Mozambique, Namibia and South Africa to work on a variety of projects. 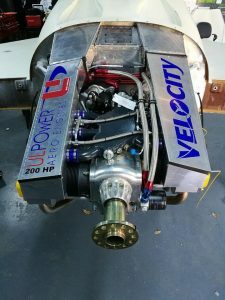 According to our ULP Superman, the ULPower engines are becoming more and more well known and accepted in SA and their owners love them, spreading the news to an even wider audience. 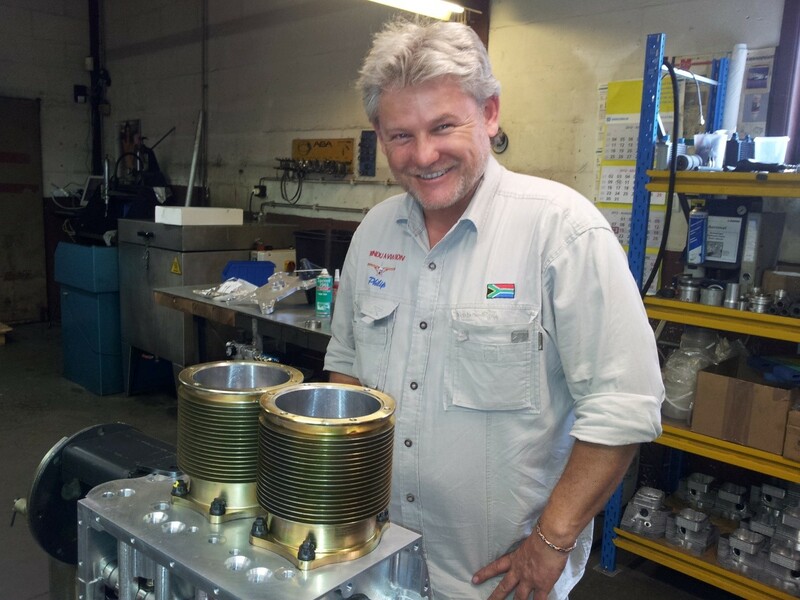 Full of pride, he tells me that he just completed the world’s first installation of the 200hp, six cylinder UL520is in a BD4 aircraft, in Namibia. 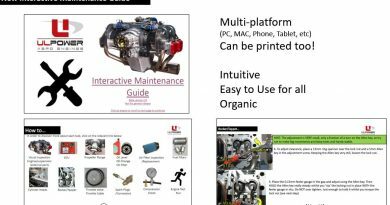 By assisting customers and overseeing the installation he ensures that his customers get to know their engines intimately. 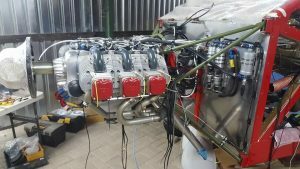 When he opens up his facebook account to show me some pictures of this project, I discover there is more… he has also installed his favourite ULPower engine into a Velocity pusher!